Three faculty members in the Department of Psychology are getting ahead in the race to end chronic pain. A broken bone shows up on an X-ray. An MRI can reveal a tumor. But what does pain look like? Come to think of it, what is pain, really? The person experiencing it has no doubt it’s there, and can usually describe it—sharp, throbbing, dull, comes-and-goes. But unless it’s taken as part of a cluster of symptoms to some other illness, some in the medical community are quick to trivialize chronic pain as not a real thing, as something that’s in the patient’s head. The common perception that chronic pain is imagined, or not serious, persists despite the fact that about 100 million American adults live with chronic pain, according to the Institute of Medicine. It affects more people than diabetes, cancer, and heart disease combined. “People are getting older, living longer,” says Dr. Burel Goodin, Assistant Professor of psychology and anesthesiology. That means more people are dealing with persistent pain issues. Pain is also among the least understood public health issues. A small group of UAB researchers is trying to change that. 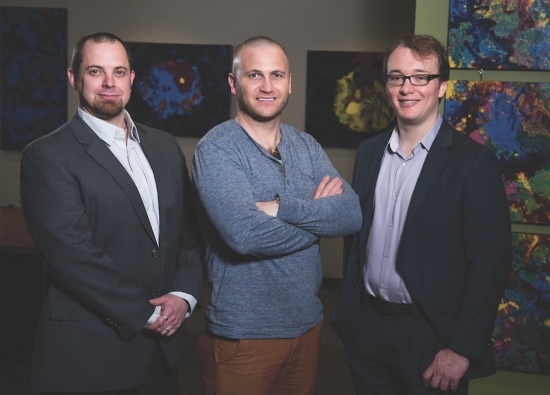 Through the work of Dr. Robert Sorge, Dr. Jarred Younger, and Goodin, UAB is establishing itself as a pain research powerhouse. Together, these researchers are unlocking some of the mysteries that surround chronic pain, redefining the illness in its own right, and developing cutting edge ways to treat it. From left: Dr. Robert Sorge, Dr. Burel Goodin, and Dr. Jarred Younger. It’s time, says Goodin, Assistant Professor of psychology and anesthesiology. “Prior to two and half years ago, none of us was here. There wasn’t really this large pain presence,” he says. “What we’re trying to get is this nice critical mass of pain researchers. And once we do, who knows? We may end up getting some cool pain-related center. The interest is really there.. Chronic pain is probably the most expensive problem in the U.S., says Younger, Associate Professor and director of UAB’s Neuroinflammation, Pain, and Fatigue Lab. Some estimates put it as high as $635 billion a year. That’s more than heart disease, diabetes, or cancer. The work being done at UAB is triggering a shift in the way people think about chronic pain. People usually think of acute pain. “I stubbed my toe. That hurts. That pain is a symptom of stubbing my toe,” Goodin says. But more and more, those in the health sphere are beginning to consider chronic pain its own disease entity. What you eat affects the way you sense pain, and how quickly you recover from injury. That’s the crux of Robert Sorge’s research, which involves feeding mice what Sorge’s lab calls a Western diet: meals high in refined carbohydrates, saturated fats, and trans fats. “We’re looking at what a poor diet does to our animals over the long term in terms of their sensitivity to painful stimuli and their recovery from a chronic pain condition,” he says. The diet does what you’d expect—raises the animals’ blood glucose levels. But it also reduces their sensitivity to acute pain. Sorge shines a light on the mice’s paws to see how they respond. “They become less sensitive to heat and less sensitive to touch, which mirrors what we see in an obese population,” Sorge says. Obese people, he says, can withstand the pain of a hot metal disc placed on the arm a little longer than most. Is it a matter of more fat providing more padding? “It shouldn’t be,” Sorge says. Our pain receptors are right on the skin. “What we’re thinking is happening is that obesity and a poor diet lead to this chronic inflammatory state,” he says. What’s wrong with being less responsive to acute pain? Animals in this chronically inflamed state show higher levels of pro-inflammatory cytokines, chemical messengers released by immune cells. And there’s a disruption in circuitry that happens here. We have two types of pain neurons: one is the rapid response, which is that immediate shock when you first put your hand on something hot. The second is non-myelenated, which responds to dull, throbbing, aching pain. Think about a toothache or the pain after twisting your ankle. Myelin is the protective coating around nerves that helps nerves fire quickly. “What we think is happening is that this chronic inflammation is reducing the myelin on those pain-sensing neurons and making them less responsive,” Sorge says. So that explains why overweight individuals can withstand more immediate pain. “But living in a state of chronic inflammation makes those other circuits—the non-myelenated ones—more sensitive,” Sorge says. So not only do they feel duller chronic pain more intensely, it also takes them longer to bounce back from injury. Ultimately, Sorge hopes to see if anti-infammatory foods, like those containing grapes, ginger, broccoli, leafy greens, and curcumin from turmeric root can reverse that effect. High levelsof carbohydrates trigger inflammation, and fat deposits release a hormone called leptin, which also leads to inflammation. Sorge is beginning a human clinical trials to look at the effect of dietary changes on pain levels and inflammation. Study participants will fall into one of three groups: a low-carbohydrate diet, a low-fat diet, and a control group. Sorge is recruiting older adults with knee osteoarthritis who will keep a food diary and rate their pain weekly. “We’re expecting weight loss in both groups, but we’re hoping to see that it’s the diet and not necessarily the weight loss that has the bigger effect,” he says. That’s because of low-level brain inflammation, he says. “I think a lot of these chronic conditions—chronic pain and fatigue conditions—are situations where the brain has essentially been tricked into thinking there’s an infection all the time,” he says. There are dozens, maybe hundreds of things that can sensitize those cells, Younger says—aging makes them more sensitive, which could be why older adults are more easily fatigued and experience cognitive declines; lots of infections, long-term exposure to diesel particles in the air, chronic stress, obesity—all of these things make these cells go into attack mode. Younger is developing drugs that get into the brain and reduce inflammation. “So we’re testing drugs that go to the microglia and it suppresses them.” The theoretical risk is that if you turn off these cells too much, they won’t be there when you need them. “So we have to be sure that we’re not overly suppressing the immune system,” he says. In the human trials he’s conducted so far, he says, there’s no evidence to suggest that’s happening. Younger also is challenging long-held beliefs about depression. It’s not low levels of brain chemicals like serotonin or dopamine, he says, but brain inflammation. “And the reason no one’s caught that before is because it’s extremely hard to measure brain inflammation,” he says. At Younger’s lab, researchers are using things like Positron Emission Tomography to map that out. Younger’s lab is also experimenting with Chinese botanicals, ranging from turmeric-derived curcumin to mushrooms—to test their effect on inflammation. It’s not that pain is all in one’s head, but there is a psychological component. That’s the focus of Goodin’s research. “We’re looking at how psychologies can affect physiology to then come together and interactively impact a person’s pain experience,” he says. Goodin has exposed people to a sad stimulus—have them watch a sad video, for example—or made them feel socially excluded and rejected in the lab. “So maybe that rejection hurt emotionally,” Goodin says. “What I’m often interested in is does that emotional hurt map onto their physical hurt?” A lot of times, Goodin says, it does. “We make this arbitrary distinction between physical hurt and emotional hurt, but the brain itself really only knows ‘hurt,’” he says. The same area of the brain that lights up when a person is rejected and emotionally hurt is the same part that responds when a person is poked with a sharp object. Individual differences in the experience of pain often have something to do with learned experiences. These can be related to gender (think of the difference in how adults react when a little girl skins her knee versus a little boy), to experiences shared by members of certain racial or ethnic groups. Goodin published a study in 2012 looking at African-Americans’ pain sensitivity. He found that among people who report having been discriminated against, whether in a medical setting, looking for housing, or by the police, they were more sensitive to pain. “Particularly among African-Americans, the more they reported being exposed to racial discrimination, the less they were able to tolerate a painful stimulus,” Goodin says. His latest study, under way now, looks at the connection between stigma and health. He’s particularly interested to see whether having multiple potentially stigmatizing traits—for instance an African-American gay man with HIV—has a compounding effect on pain tolerance. “We hope it provides some interesting initial data for us,” he says. For people who are stigmatized or routinely discriminated against, Goodin’s goal is to help them cope. “Trying to increase their resilience, trying to up their threshold for tolerating these things,” he says. That might involve connecting them with resources such as social support networks or teaching them relaxation techniques. UAB helped make Hugh Gainer the man he is today, and now he is repaying the investment. To say that UAB has played a major part of Hugh Gainer’s life would be a tremendous understatement. He graduated from UAB in 1978 with a degree in art history and went on to complete his masters in hospital administration. After finishing his graduate degree, he worked for 14 years as an administrator at University Hospital, then spent four years at the School of Health Professions. Ultimately, he became the Associate Vice President for Business and Auxiliary Services in central administration, a position from which he retired in 2010. We spent a few hours with Hugh and his wife Anna at their home in Birmingham to learn more about his experiences at UAB, and how he journeyed from student, to employee, and finally to donor of an Endowed Scholarship. Gainer grew up on 11th Avenue South, just a block away from what would become the UAB campus. And while the proximity of the young university was part of its appeal to Gainer, its affordability was also an attraction. As one of seven children, Gainer knew his path to a college degree would be one he would have to manage on his own. Hugh’s wife Anna joins us for the conversation. “When we were at the scholarship luncheon, we were taking some photographs with students and we were just chatting, and one was from Canada, one was from Ohio,“ Anna says. “And one was from Dothan,” Hugh adds. “They were from lots of different places, and I was very impressed with that,” Anna says. Student success often hinges on the guidance provided by academic advisors. Find out how the 19 advisors in the College help ensure our students reach their goals. With more than 7,000 undergraduate students in the College of Arts and Sciences, the task of guiding all of them through matriculation and onto graduation is not easy. In fact, it takes 19 full-time staff, who on average work with almost 400 students each. Advisors in the College juggle many tasks and collaborate closely with a host of other people on campus to shepherd students through their prerequisites, degree requirements, curriculum decisions, preparations for graduate school (including tests like the GRE, MCAT, and LSAT), and even applications for scholarships and professional development opportunities. And they do so willingly, enthusiastically, and with a sense of service to the students and to UAB. We wanted to know what makes a good advisor, and how they help students on a daily basis, as well as over the course of many years. We talked to Prof. Kimberly Schnormeier, Associate Dean for Academic Advising; Delia Lewis, Program Manager Pre-Health Advising; and Deborah Littleton, Program Director, to find out what makes CAS Advising tick. What was the vision for Advising when the College of Arts & Sciences formed? Kim Schnormeier: CAS Advising provides academic advising to students seeking degrees from 19 different departments, interdisciplinary programs within the College, undeclared students, and those students who intend to apply to professional programs, such as Nursing. We also offer advising services to students planning to apply to medical, dental, or optometry schools. Combining advising for all of these Arts & Sciences students under one umbrella has provided consistency in advising across disciplines and more interaction between advisors. And having the majority of advisors in one central location has made it easier for students and strengthened our profile on campus. How has that vision changed or evolved? Advisors and students have access to more technological tools than in the past. When the Graduation Planning System (GPS) was first introduced a couple of years ago, there was a concern that students wouldn’t need to see their advisor because they could see their progress in GPS. In fact, the opposite has been true, as students will spot areas of concern in GPS and want to discuss them with their advisor. What are you accomplishing every day with individual students? Kim: Advising is a collaborative partnership between the student and the advisor, ultimately it is up to the student to make the decisions, based on the options laid out by the advisor. Each day is filled with successes big and small, and sometimes failures, too. 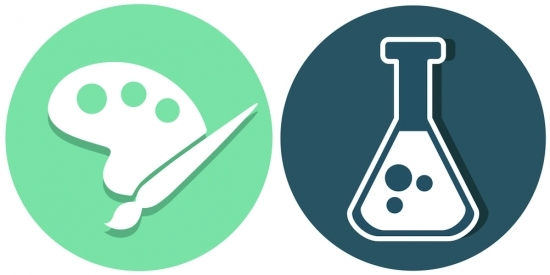 How do you work with faculty advisors within the departments? Deborah Littleton: Each department is unique in how active they are in advising. We have some departments that have faculty advising for all of their students while we have some departments that have a faculty advisor who helps discuss career and graduate school options. We work very well with the faculty advisors and encourage our students to seek guidance from their faculty advisors. Kim: That’s right. Faculty advisors are able to focus on major requirements, internship opportunities, and often serve in a mentor capacity, because they know the academic advisors will advise students on core requirements, time to graduation, etc. Academic advisors will sometimes do on-site advising days for departments that are not housed in Heritage Hall. As with students, it is a collaborative relationship. Delia Lewis: I often speak to faculty in the BCPM (Biology, Chemistry, Physics, and Math) departments, and sometimes with faculty from BMD (Biomedical Sciences), BME (Biomedical Engineering), and Neuroscience. Sometimes a student requests a letter of evaluation from one of these faculty members as part of their application process for admittance to professional school (medical, dental, optometry, etc.). In addition, I often consult with these faculty about issues related to changes in professional exams (such as the 2015 revisions to the MCAT), admissions requirements for professional schools, and changes in curriculum of degrees offered that funnel into ‘pre-health’/pre-professional programs. Kim: Time is always a factor. Advisors teach our First Year Experience (FYE) courses and participate in recruitment events and New Student Orientation on top of daily appointments. Drop/add periods and assigned time registration windows always mean full calendars and very busy days for our advisors. We also have to keep up with changes to curricula and academic policies. Delia: And certain times of the year are busier than others. For example, the application cycle for professional schools begins in January, and I balance my time from then until about May meeting with students and gathering needed documents to start their application process. The cycle really gains steam around June, when many of the application/upload service websites open their application portals to students and students take their pre-professional exams and begin to receive their scores. June and July are spent conducting composite interviews for students and gathering final documents for their file, and the late summer and early fall are focused on completing letters for students and meeting application deadlines. Kim: And of course it is always challenging when an advisor has to deliver news to a student that they do not want to hear, such as when they aren’t achieving the GPA needed to get into their chosen program. In those instances, advisors will provide options to the student on how they might improve their performance (referrals to the UASC, employment of the forgiveness policy) or other major/career paths they may want to consider. From your perspective, what are some of the issues we face in higher education in 2015? How are UAB students different from, or similar to, students in other places taking the same steps toward graduation? Kim: Like all universities, but particularly state universities, we have seen an increased emphasis on retention and graduation. In advising, this means learning how to balance the push for better numbers with what is best for each individual student. Advisors develop relationships with students and they know that each student is unique, with their own set of challenges. They see the faces and hear the stories behind the numbers. Delia: Two of the issues I see my pre-health students facing in 2015 are inclusion and regard for new, interdisciplinary degree programs by professional school admission committees, and the frequent need for students to take extra time (or a ‘gap year’) after graduation to improve their competitiveness as a pre-health applicant due to lower-than-ideal GPA, or a lack of experiential learning, service, or leadership opportunities. The need for such extra preparation is evident in the increasing number of post-baccalaureate, non-degree programs offered at numerous universities nationwide as applicant pools grow larger and more competitive. Kim: Overall, UAB students are no different than students anywhere else, though we do see more first-generation college students. And of course, our student population is one of the most diverse in the country, so having understanding and cultural sensitivity is important. What do you wish people on campus knew about CAS Advising? Deborah: We are here to help students succeed whether that means being a cheerleader at times, a shoulder to cry on, a point person for questions, a resource for all things UAB. And we are very active in recruiting new students whether that be through the numerous UAB Days, Veteran’s Day or President’s Day events or seeing VIP students who come to visit campus. We are responsible for meeting with incoming students at all of the new student orientations and transfer orientations. We work with students teaching them about study skills, time management, helping them get acclimated to college life; we bring in different entities across campus to let students know resources are available to help them throughout their college career. Kim: I see how dedicated our advisors are and how hard they work to help students succeed. They are so much more than “course planners.” They are there for our students from recruitment, to New Student Orientation, to that scary first semester and on through graduation. Many are involved on campus in other ways, such as teaching workshops in the UASC, involvement with Safe Zone, or serving on the Benevolent Fund Council. They work hard and maintain patience, compassion and good cheer, even during the busiest times. Our advisors are a great team! What do you wish people outside of campus knew? Deborah: Our academic advising staff has been recognized nationally over the past 17 years for providing outstanding academic advising to our students through the National Academic Advising Association (NACADA), with advisors winning an Outstanding Advising Award or Outstanding Advising Award—Certificate of Merit. Delia: I wish that more people knew how exceptional our student body is. I have the honor of working with some of the brightest, most considerate, diverse, intelligent, and interesting students on a daily basis. What makes someone want to be an Advisor? What kinds of things do they do well that draw them to the job and make them successful? Deborah: A passion to help others. I think advisors possess a friendly personality, are detail-oriented, good listeners, empathetic, caring, encouraging, genuine, and curious. All of these traits help an advisor be successful in working with students. Delia: I agree. I think advisors are often people who take joy in helping others realize their potential, by providing resources or information, compassion, sometimes firm guidance, or simply helping a student keep things in perspective. Most of the good advisors I know are lovers of learning, and are nurturing personalities who thrive by helping others do the same. Kim: It may surprise people to know that many of our advisors have some type of counseling background, while others have education degrees or a student life background. When do you know you’ve succeeded? Delia: I relish the moments when my students gleefully inform me that they have been accepted to one or more professional programs of their choice. It is an honor to witness their years of discipline and hard work pay off in a major milestone and ‘next step’ in their path as a future health care provider. Kim: Graduation time is always a time when there is a feeling of great accomplishment, when you see students walking across the stage who faced obstacles, challenges, and adversity to reach that goal. Knowing that advisors played a part in getting them up on that stage is one of the great rewards of the job. David McNaron (’78) is retiring after 30 years teaching Philosophy at Nova University in Fort Lauderdale, Florida. Nicole Mins (‘02) continues as a sleep physician at Carolinas Healthcare System in Charlotte, North Carolina and plays a mean game of Words With Friends. Rashmi Murthy (‘03) started in breast medical oncology at MD Anderson Cancer Center and is developing a clinical research focus in HER2-positive breast cancer. Matt Malone (‘05) lives in Nashville with his wife and two children where he is completing a pediatric critical care fellowship. Roshan Patel (‘07) landed in hematology and liver medicine at the medical center in San Francisco. Tracy Chang Burton, MD (‘08) is now on the faculty in Pediatrics at the University of South Florida in Tampa. John Bouldin (‘12) is enjoying his third year of medical school and plans to go into emergency medicine. Lillie Flowers (‘14), was recently hired as Court Case Manager for UAB’s Treatment Alternatives for Safer Communities program. Majaliwa Mzombwe (‘14), says he is “oscillating between surviving and thriving” at Vanderbilt Medical School. Kevin Qiuchen Jiang (‘14), Outstanding UAB Philosophy Student in 2014, is progressing well through medical school at UAB. Wes Seals (‘06) is directing a production of “Suessical” with the Saratoga Springs Children’s Theatre this summer. Jonathon Offutt (‘08) is designing the scenery for a production of “The Life and Adventures of Nicholas Nickleby” in Louisiana. Jeremy Kyle Lewis (‘11) is now the production stage manager of The Acting Company, based in New York. Jonathan Hicks’ (‘10) photograph from the Birmingham Museum of Art’s permanent collection was paired with Richard Longo’s prints in an exhibition of works curated by Wassan Al-Khudhairi, of the BMA. Celestia Morgan (‘13) was included in the exhibition, State of the Art: Discovering American Art Now at the Crystal Bridges Museum of American Art. As one of 102 artists who exhibited, Celestia represented the State of Alabama. Claire Spollen (‘13) was accepted into the internship program at Cooking Light magazine. Peter Hardin (’93) practices corporate and tax law as a shareholder at Birmingham-based firm Sirote & Permutt, PC. He’s also president of the board of directors of St. Anne’s Home. Sabita Saldana (’14) who contributed to the book Epigenics and Dermatology, was selected as the 2015 Health Disparities Research Training Scholar and received a P20 Grant (senior personnel). The honorees whom we recognized at this year’s Alumni Awards celebration have accomplished great things since they left UAB, and they are shining examples of what we value: hard work, dedication, service, and compassion. This year’s winners come from Mathematics, English, Government, and Psychology. They have gone on to launch their own start-up companies, rise to chief executive positions, shape federal policy, and establish the very best standards in research and patient care. We are very proud of their accomplishments. We also honored representatives from Bruker Corporation, which has been instrumental in supporting the Department of Chemistry in maintaining its strict accreditation requirements. We are very delighted for our graduates and very grateful to all of those who support the College of Arts and Sciences. Dean Palazzo and Debbie Jo Severin Severin graduated with a B.S. and M.S. in Mathematics from UAB in 1981 and 1983, respectively, and has crafted an impressive career in marketing, brand awareness, and strategic planning in the ensuing three decades. Currently the Vice President of Marketing for 8X8, Inc., Severin directs the marketing and lead generation initiatives for the $130 million publicly traded company, which has a focus on cloud-based telephony, unified communications, and video services. Prior to her executive position at 8X8, she was Vice President of Marketing at a number of Silicon Valley companies, including Valiant Networks, Northpoint Communications, and Pacific Bell/Primeone-Tele-TV. Severin began her career as a market research manager at BellSouth Telecommunications in Birmingham. As a student, she was a Miss UAB Scholarship recipient, and as an alumna is an active member of the National Alumni Society and serves on the College of Arts and Sciences Leadership Council. Kristal Quaker Hartsfield, center, with Dr. Angela Lewis and Dr. Wendy Gunther Canada. Quarker Hartsfield received her B.S. in Political Science from UAB in 2004 and her M.P.A. (Public Administration) in 2007. Originally from Atmore, Alabama, Quarker Hartsfield is now a Washington, DC, resident, where she is the National Director of African American Initiatives at the Republican National Committee. In her role at the RNC, she is in charge of crafting and implementing the party’s nationwide African American engagement strategy. Prior to the RNC, Quarker Hartsfield was a senior staff member at the US House of Representatives House Committee on Foreign Affairs. As the first African American to hold a senior position on the Republican side of the aisle, she was an authority on all Africa-related issues for the GOP Congressional majority. Prior to working on the committee, she was the director of communications and business outreach for the House Republican Policy Committee and Senior Legislative Advisor to former Congressman Thaddeus McCotter. Quarker Hartsfield was named one of the “Top 25 Women of Washington” by the National Journal in 2013, a “Top 40 Under 40 on Capitol Hill” in 2012, and was a National Brand Ambassador for UAB in 2013. Dr. William Hutchings, left, with Russell McDonald.McDonald received his B.A. and M.A. in English from UAB in 1985 and 1989, respectively, and then went on to complete a MLIS (Library and Information Studies) degree from the University of California, Berkley, in 1992. After a distinguished academic career at UAB, in which he proved himself adept at understanding challenging languages, including the Old English of Beowulf and the dense syntax of James Joyce, McDonald learned the new languages of information science and technology, helping libraries across the county transition from old-fashioned card catalogs to computerized databases via his employer, Innovative Interfaces, Inc. Within just a few years, McDonald became director of Sales in North America for Interfaces, Inc., leading the company with more than $7.5 million in signed contracts. From there, he held senior positions at Elsevier Science, Ex Libris, and iPost, where he was CEO. Today, as an independent consultant, he remains on the forefront of technological change in higher education and information technology. Dr. Karlene Ball, left, with Dr. Leanne Cianfrini Dr. Cianfrini graduated from UAB with an M.S. in Psychology in 2002, and a Ph.D. in Clinical Psychology in 2004. After UAB, she completed Pre- and Post-Doctoral Fellowships (Health Psychology and Pain Psychology) from the University of Florida Health Sciences Center. Today, she is a clinical/medical psychologist at the Doleys Clinic/Pain and Rehabilitation Center in Birmingham. As Program Director of the clinic, she coordinates community workshops and develops unique evidence-based interdisciplinary programs for clinic outpatients. She is an Adjunct Professor at UAB and teaches graduate courses in medical psychology. She has received the President’s Award for Excellence in Pain Management from the Southern Pain Society (2008), was an Exchange Intern at the University of Oxford (2004), received a Merit Fellowship from UAB (2003), and a Preceptorship from the American College of Rheumatology Research and Education Foundation (2002). Bruker Corporation has been a long-time partner with UAB. Dean Palazzo, center, and Dr. David Graves, far right, with representatives of Bruker Corporation. Throughout the years, Bruker and its many divisions have worked with various departments across the university, including the UAB School of Medicine’s Department of Biochemistry and the College of Arts and Sciences’ Department of Chemistry to foster novel research and drug discovery. Thanks to Bruker’s continued support, last year we brought to campus the largest and most advanced Nuclear Magnetic Resonance (NMR) facility in the state of Alabama, among the best in the region. The NMR facility brings together researchers across the UAB campus and represents the true interdisciplinary spirit that is a hallmark of our institution. Together, we have established a state-of-the-art research facility that serves not only the scientific community at UAB, but also researchers and businesses in the Birmingham community and beyond. Dr. Trygve Tollefsbol is a leader in the growing field of epigenetics. The author of eight books on the subject, as well as the lead on numerous articles and presentations, Dr. Tollefsbol’s work in this emerging and important field stands out among the work of an array of international scholars. As a result of the quality of his scholarship and impact on his field, Dr. Tollefsbol has been named the recipient of the 2015 Ireland Prize for Scholarly Distinction. Dr. Tollefsbol received his B.S. from the University of Houston in 1974 and his M.S. from the University of North Texas in 1977. He completed his doctorate in osteopathic medicine from the University of North Texas Health Sciences Center in 1979, and his Ph.D. from the university in 1982. 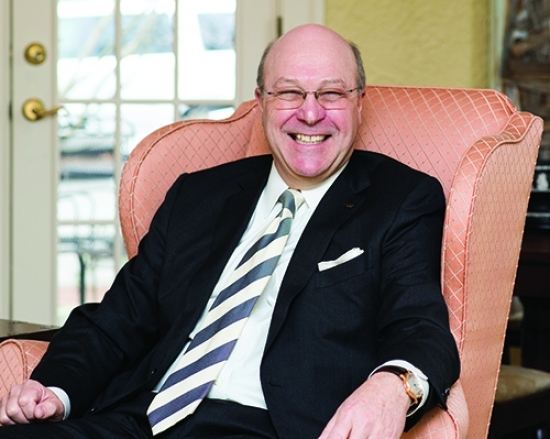 Throughout the course of Dr. Tollefsbol’s remarkable career, he has held positions in medicine as well as in biological research. He has practiced medicine at the University of North Texas Health Sciences Center, been a postdoctoral and senior fellow as well as assistant professor of medicine at the Duke University Medical Center, been a surgical resident at the Medical Center of Central Georgia, and a fellow at the University of North Carolina at Chapel Hill. 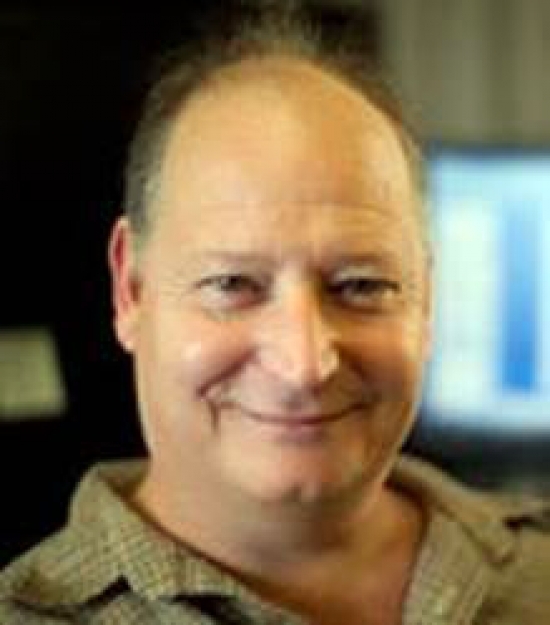 Dr. Tollefsbol came to UAB as an Assistant Professor in the Department of Biology in 1998, and has held many positions across an array of interdisciplinary platforms, including the director of the UAB Cell Senescence Culture Facility; a senior scientist at the UAB Comprehensive Cancer Center, the Comprehensive Center for Healthy Aging, the Comprehensive Diabetes Center, and the Nutrition Obesity Research Center; a preceptor at the Dental School and the Center for Research and Clinical and Applied Gerontology; and an Assistant Professor at the Vision Science Research Center. He serves on the editorial boards of Molecular Biotechnology as well as Clinical Epigenetics. He is the series editor for Translational Epigenetics, the associate editor for Frontiers in Genetics, Clinical Epigenetics, and a contributing editor to Levin’s GENES classic textbook on molecular biology. Dr. Tollefsbol plans to donate the $5,000 award proceeds to the Dr. Trygve Tollefsbol Best Paper Award in the Department of Biology. When it comes to keeping our loved ones safe, we are all in this together. Psychology Faculty members Dr. Despina Stavrinos, Assistant Professor, and Dr. David Schwebel, Professor and Associate Dean for Research in the Sciences, put safety first as they teach behaviors and practices to ensure the public’s well being. After many years working on pedestrian safety, Dr. Schwebel is now moving into research on how children interact with dogs. With the support of a NIH grant, Dr. Schwebel is examining how cognitive skills and behavior affect the relationship between children and dogs. The project has three components: informational videos, interactive video games, and an observational study, all aimed at teaching children cognitive safety skills to foster mutually positive interactions with their canine counterparts. 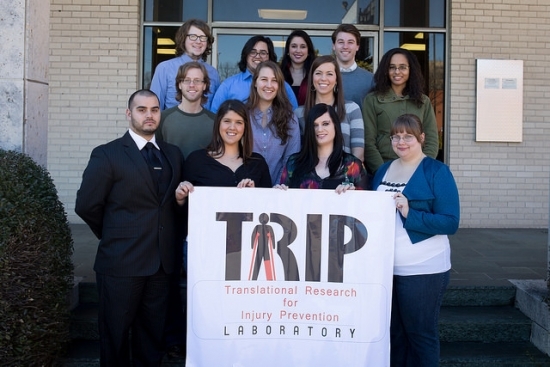 As director of the Translational Research for Injury Prevention Laboratory (TRIP Lab), Dr. Stavrinos examines the impact of distracted driving within at-risk vulnerable populations, such as the elderly, teens, and those with developmental disabilities. Her research utilizes a driving simulator that allows participants to experience a realistic and beneficial learning environment. Dr. Stavrinos is exploring funding for state-of-the-art simulator that uses audio, visual, simulation, and animation and would allow the TRIP lab to provide hands-on, full-scale educational and research experience to participants. In partnership with the Alabama Environmental Council, Dr. Akklaque Haque, Associate Professor in the Department of Government, is engaging his students in groundbreaking work by geo-mapping solar usage in Alabama. Dr. Haque hopes this project will become a major public service initiative and make a positive impact on the environment and the wellbeing of Alabamians. 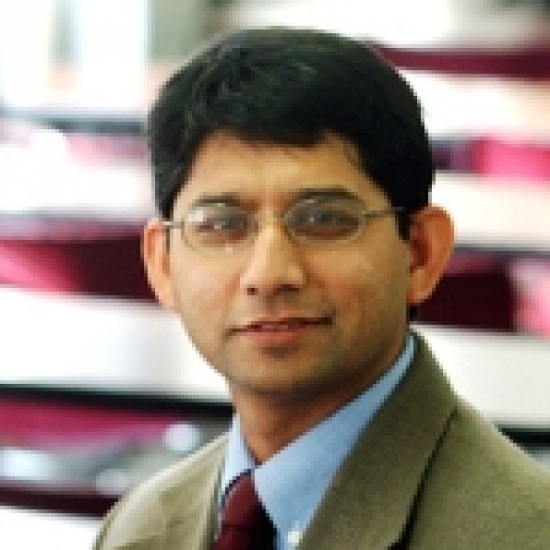 Dr. Haque’s research interests include administrative theory, decision behavior, and GIS technology. He enjoys studying the human experience and how technology, ethics and public health play a role in the day-to-day lives of individuals. He is also the director of the Master of Public Administration (MPA) program. Dr. Timothy Levine comes to us from Korea University, where he was Professor of Communication and Media. His research and instructional focus has been on interpersonal communication, social influence, cross-cultural communication, and social scientific research methods. His current work focuses on effective interrogation strategies and the believability of individuals. Martha Earwood, Teaching Assistant Professor and internship coordinator in the Department of Justice Sciences, was awarded the 2015 UAB President’s Award for Excellence in Teaching. Earwood received her B.S. and M.S. 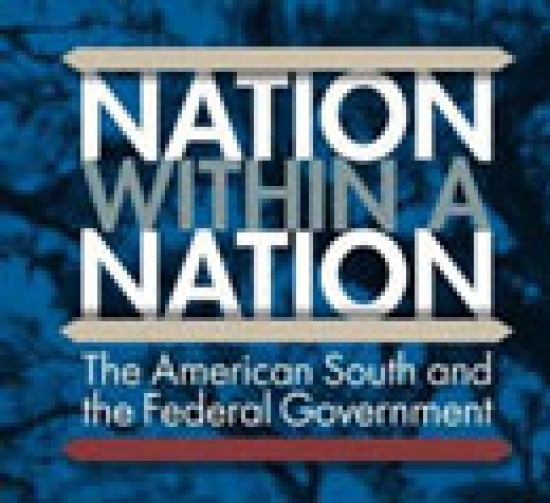 from Georgia State University and was an adjunct faculty member there beginning in 1993. She came to UAB in 1999, and today lists the criminal justice capstone experience as one of her greatest teaching accomplishments. As internship coordinator, Earwood has helped the department establish connections with more than 40 federal, state, local, and private organizations and agencies. Michele Forman, Director of the Media Studies Program and faculty member in the Department of History, also received the President’s Award for Excellence in Teaching. Forman was nominated by the UAB Honors College, which provided nominations for the prize for the first time. Forman got her B.A. from Harvard University and her M.A. from UAB. A documentary filmmaker, she co-founded the Media Studies program in 2003. Her work connects students with local community issues, and her interests are in digital storytelling and oral history. 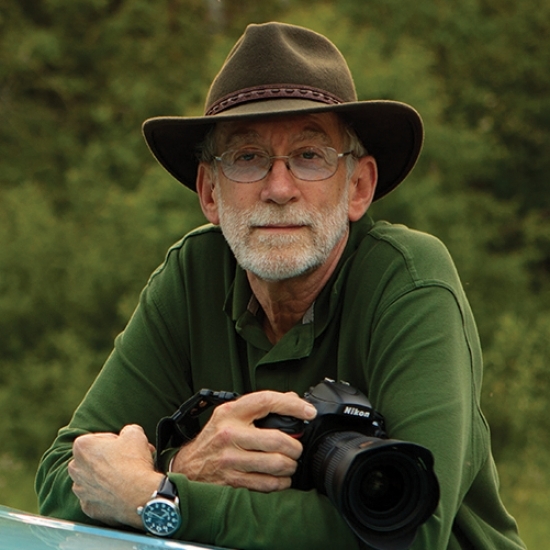 Dr. James McClintock, Professor in the Department of Biology, has been named the recipient of the 2015 Odessa Woolfolk Community Service Award. 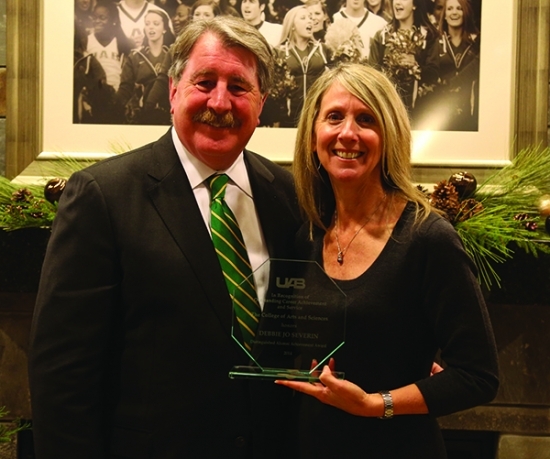 The award recognizes faculty members who have provided outstanding service to UAB’s community. 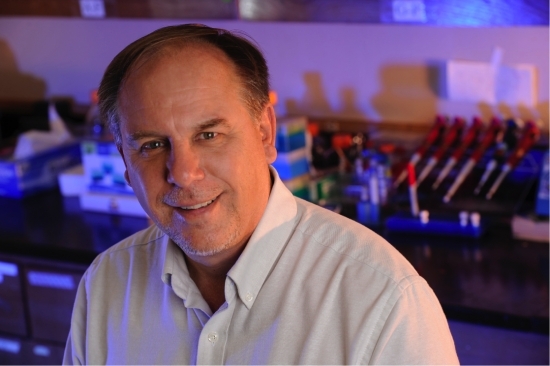 Also in the Department of Biology, Dr. Steve Austad, Chair of the department, was awarded the Longevity Prize from The Fondation IPSEN in France. The prize recognizes achievements in the field of biomedical research, and winners are chosen by an international jury. Dr. Austad is the 20th recipient of the award. And Senior Associate Dean Dr. Catherine Danielou, who is also interim chair of the Department of Foreign Languages and Literatures, was awarded the 2015 Oustanding Administrator Award by the Alabama Association of Foreign Language Teachers. She is also the President-Elect of the American Association of Teachers of French. The Films of John G. Alvidsen: Rocky, The Karate Kid and other Underdogs. The Regional Competition is the first level in the American Mock Trial Association’s (AMTA) national tournament format, where top teams at each tournament site advance to the Opening Round Championship Series (ORCS). The regional event took place in early March, and when the three-day tournament concluded, UAB accumulated a 5-3 record to finish 8th in the field and earn a bid to ORCS. Team captain DeMarcus Williams received a Best Attorney Award, the only attorney at the tournament who earned a perfect score of “20,” which meant that each of the judges ranked him first among all attorneys in the trial competition round. 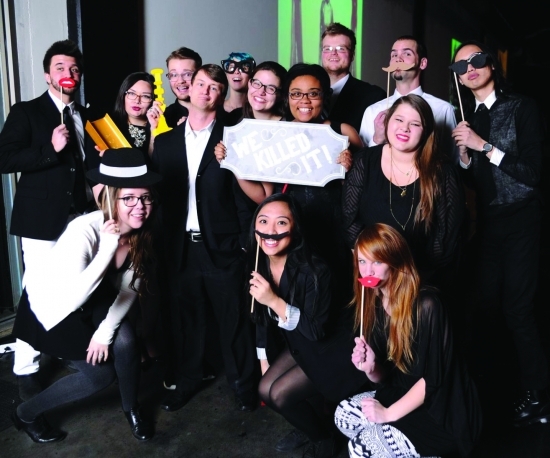 The team earned honorable mention for the Spirit of AMTA Award, which is awarded to the team that “best exemplifies the ideals of honesty, civility, and fair play.” Millsaps College narrowly edged out UAB for that award. The team travels to Memphis in late March to compete in the next round of the tournament. 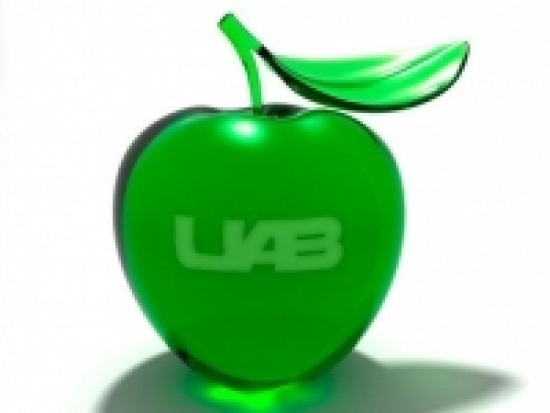 For competition results, or for information about mock trial, visit uab.edu/mocktrial. The UAB Ethics Bowl team won one of only four spots in the Southeast Regional Competition in Tampa, Florida, advancing them to the National Championship Round in the Intercollegiate Ethics Bowl in Costa Mesa, California. Of the 32 teams from 10 national regions, UAB, the US Naval Academy and two other teams advanced. 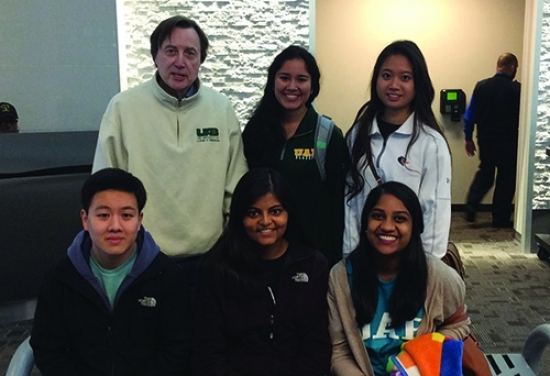 The team, comprised of Clara Wan, Lakshmi Subraman, Joanne Jacob, Aashka Patel and Kevin Yang, is coached by Dr. Gregory Pence. Yang, who made the final round in the 2012 “Jeopardy” Teen Tournament, chose UAB partly because of its Ethics Bowl Team. At the national event, the team made a strong showing but was narrowly eliminated before the quarterfinals. Dr. Greg Pence, chair of the Department of Philosophy and sponsor of the team, says he’s very proud of the group and their hard work. The Ethics Bowl team won the national championship in 2010. The Board of Trustees approved a new building for the College of Arts and Sciences at their November 2014 meeting. The new CAS building will add academic, administrative, meeting, and study space to campus when it is finished in 2017-2018. The building will absorb many of the offices and classrooms that are currently in the Humanities Building, as well as add space for other needs. The location of and plans for the building are being assessed, but the College hopes to break ground in late 2015. Nykanen is also a member of the UAB Honors College’s Experiential Learning Scholars Program. This past semester, he was the Reserve Officer Training Corps Battalion Command Sergeant Major, which is awarded to the top cadet. Truman Scholarships support the graduate education and professional development of outstanding young people committed to public service leadership. 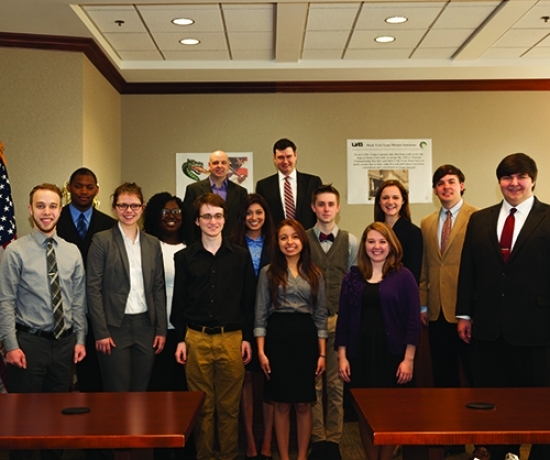 UAB has produced six Truman Scholars and eleven finalists. The undergraduate neuroscience program, shared by the College and the School of Medicine, allows top students to work in the labs of world-class researchers. Nykanen has balanced his research time —first with circadian rhythm researcher Karen Gamble, Ph.D., assistant professor in the Department of Psychiatry, and now with MiYoung Kwon, Ph.D., assistant professor in the Department of Ophthalmology — with the time demands of ROTC, which usually are 20 to 25 hours a week. With Kwon, Nykanen will help study how the brains of glaucoma patients react to the loss of visual field and its effect on the visual pathway — from the optic nerve to the lateral geniculate nucleus of the brain, and then on to the brain’s visual cortical area. Nykanen will find out the results of the Truman Scholarship competition in late April. Visit uab.edu/cas for updates. Once again, College of Arts & Sciences’ students show not only their impressive academic standing, but also innovative thinking and the desire to create change. 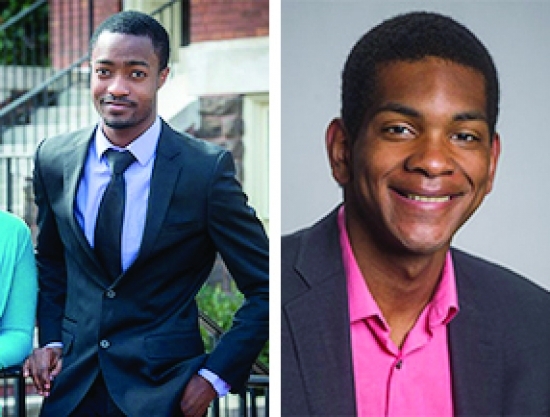 Seventeen UAB students, ten of whom hail from the College, were chosen to visit the University of Miami from March 6-8 for the Clinton Global Initiative University (CGIU). This program, created by President Bill Clinton in 2007, aims to create a community of young leaders that take action in order to solve global issues. CGIU encourages students to recognize the power they have in making a difference in the world, particularly as it relates to the initiative’s five core areas of education, environment, human rights, poverty alleviation, and public health. 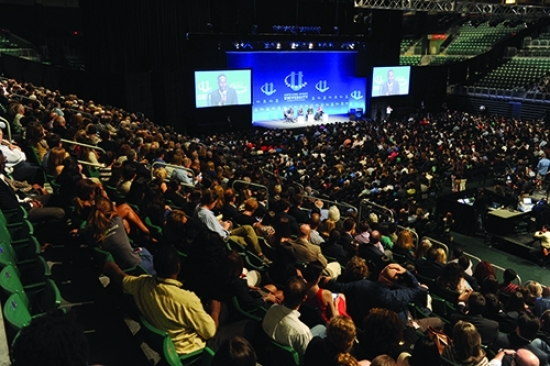 According to the CGIU website, the program has led to more than 4,800 Commitments to Action and almost $2 million in funding for those attempting to make the world a better place. The UAB participants come from four different schools and nine fields of study, with fourteen undergraduate students and three graduate students. The College of Arts and Sciences representatives are Jessica Deitzer, Julien Grayer, Megan Webb, Rebecca Massey, Ali Massoud, Nicole Ogle, Shejuti Paul, Joseph Richardson, Abdullah Tarawneh, and Richard Trieu. Nathan Oluwagbemiga Larinde, left, and Solomon Gibson Nathan Oluwagbemiga Larinde has been awarded one of two UNCF Merck Undergraduate Science Scholarships given to UAB students this year. Larinde is a neuroscience major and Science and Technology Honors student who researches in the lab of Dr. Kazutoshi Nakazawa in the Department of Psychiatry. His UNCF Merck Science Scholarship provides up to $30,000 in financial support, mentoring, and the chance to intern at a Merck Facility over the summer. UAB has a remarkable track record with these prestigious scholarships; approximately 15 awards are given each year to students throughout the nation, and UAB has had 14 winners since 2008. Kudos to the UAB Honors College’s Science and Technology Honors Program for establishing a pipeline of students who have been successful in this competition; this is the fourth year that the program has produced two or more winners. In addition to Larinde, Solomon Gibson, a chemistry major and Global and Community Leadership Honors Program student, has been designated an alternate. Gibson researches in the lab of Dr. Andrei Stanishevsky in the Department of Physics. 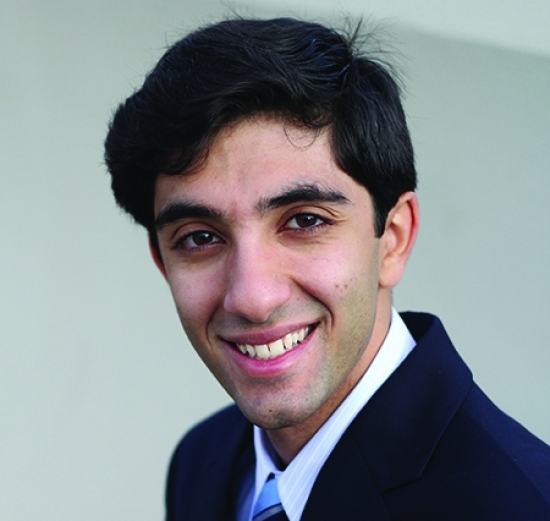 Ameen Barghi received the prestigious Rhodes Scholar award in November. He is one of three UAB students to receive the award, following Neel Varshney in 2000 and Josh Carpenter in 2012. 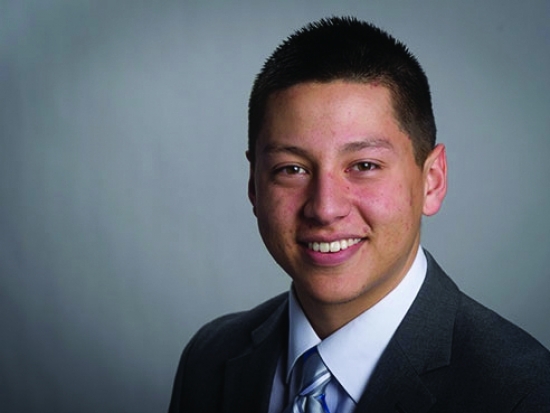 Barghi previously received the Goldwater scholarship as a sophomore. As a Rhodes Scholar, Barghi is one of 32 U.S. students who will receive an all-expenses paid graduate education at the University of Oxford. Barghi, 22, began work at UAB as a hospital volunteer in 10th grade, later joining the lab of Edward Taub, Ph.D., renowned behavioral neuroscientist in the Department of Psychology. He is majoring in neuroscience and has an individually designed major in translational research. Barghi has been admitted to UAB’s Early Medical School Acceptance Program, with promised admission to the UAB School of Medicine after undergraduate work. He is enrolled in the Science and Technology Honors program within the Honors College, as well as the Business Honors program at the Collat School of Business. Barghi attributes his intellectual success to Amanda Bittinger, his Oak Mountain High School calculus teacher and math team coach. “She taught us that, even if you get an answer, you still need to know why. I still use that framework in everything I do,” Barghi says. Barghi will pursue a Doctor of Philosophy degree in clinical neuroscience at Oxford in October.